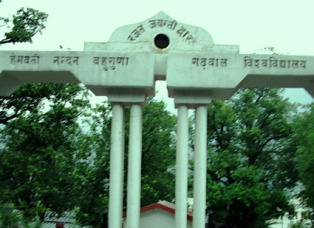 HNB Garhwal University Latest Recruitment for 105 Multitask Staff 2014: -The Hemwanti Nandan Bahuguna Garhwal University has recently notified for the Various Posts recruitment 2014. The University has invited the application for the recruitment to the posts of 105 Multitask Staff (MTS). So now all the eligible and interested candidates can apply through prescribed application format before the last date of application submission. Check below for more details about posts and other. Last date of Application submission: - 31st March 2014. Name of the Post: - Multitask Staff (MTS). So now all the candidates who want to apply for these posts can check the application format from the official website of HNB Garhwal University. And you will also find the full advertisement details in the website of University. So check the given website details of HNB Garhwal University. The official website of HNB Garhwal University is: - www.hnbgu.ac.in. For more details and information you can also contact to HNB Garhwal University by their contact us page on the University official website. Stay connected with us for more updates about various exams, results, and jobs in Uttarakhand, Latest Govt Jobs in India, Find Jobs Here, Latest Recruitment 2014 and other news of Uttarakhand. You may also follow us by our site and subscribe us by email to get our all the updates on your mail box. You can also like us on Facebook to get our all the updates on your Facebook wall.